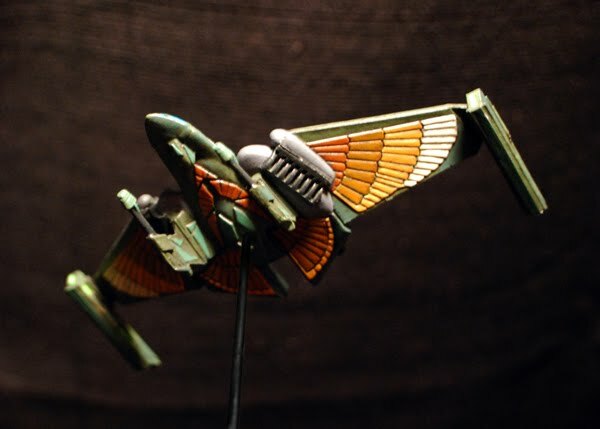 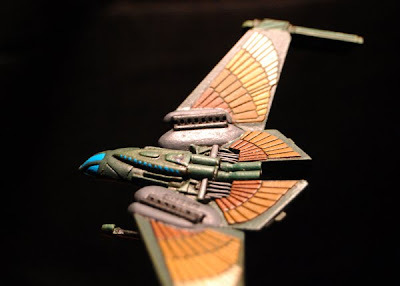 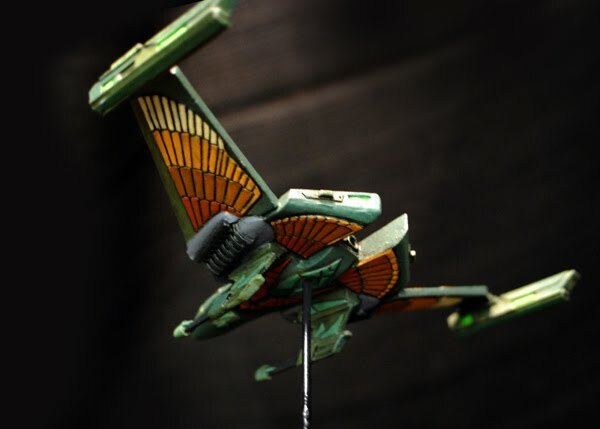 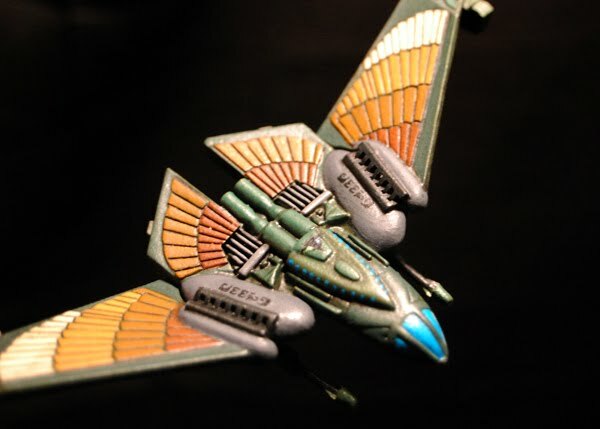 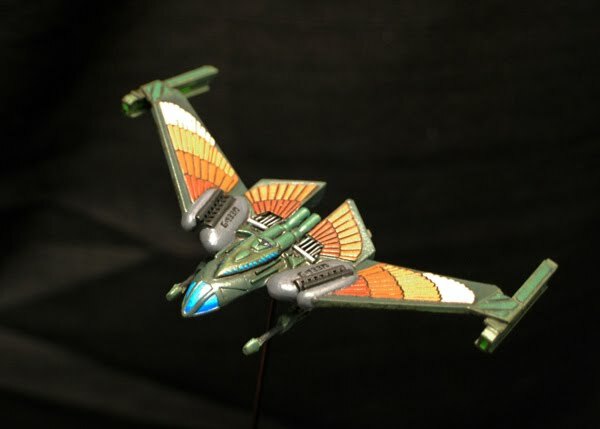 Here's a lovely little kit I built up from Odyssey Slipways; The Romulan Winged Defender based off the schematics from the old Trek Fasa game. 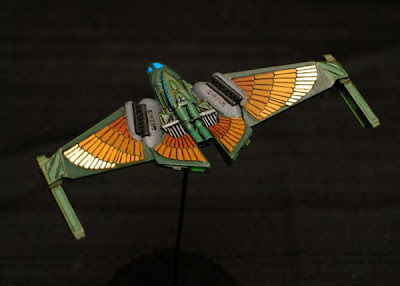 I found a good CGI render online that I used as a paint reference and also a touch of 70's color aesthetic dubbed "Shag Rug" by my Fiance. 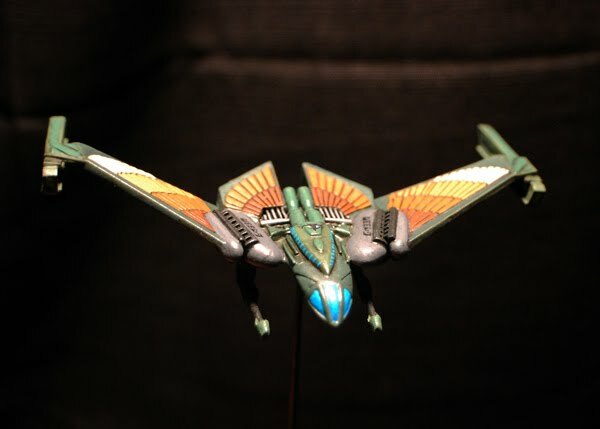 The few decals were clipped from a JT Graphics sheet I had laying around.